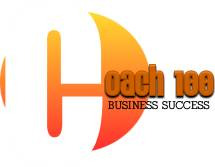 The Coach 100 Business Success Program has been helping coaches launch their businesses, fill their coaching practices with clients and get certified for years under the name, Experienced Coach Program. It is included with the Certified Positive Psychology Coach® program. Coach 100 works so great because it is 100% customizable to your unique personality and business style. And each year, we update it seamlessly with emerging technology and marketing trends. So not only do we have a proven track record, we're blazing the trail toward new marketing methods in coaching. But if you're new to coaching, you may not be interested in new marketing methods. You may not know any marketing methods, at all. In fact the whole idea of sales & marketing may be overwhelming or even a big turn off for you.That's where the true brilliance of Coach 100 steps in. Most coaches really don't need any sales & marketing training in order to succeed with the Coach 100 approach. All you need to know is how to coach your clients well and Coach 100 will help you do that, even while you're signing on paying clients. It's a marketing engine that helps you grow in the masterful coach you intend to be. How Does Coach 100 Work? The late Thomas Leonard, who is credited with founding the coaching profession, advised coaches to coach 100 people in order to fill their coaching businesses. But nobody did it. Why not? It was too overwhelming for most. They needed a supportive structure and system in order to get in motion and build their businesses. And they needed flexibility, so they could work it around their lives and create their businesses on their own terms. I created this system with the help of 40 passionate new coaches. I call it a strategic habitat, because it evolves you into the professional coach you want to be. Find out more about Coach 100. Get the free ebook. Or check out Coach 100 programs and start signing on coaching clients today.